Ahhh Summer is here. Long days, warm weather, sundresses, cookouts, baby and toddler outdoor activities in full swing, and last but not least, Popsicles. Sounds amazing right?? Sure, for a lot of people, including myself. But on the flip side, for someone like me who is at home with a 16 month old and 3 year old, summers can also mean closed activities and classes, constant sweating due to running after the kids all day, and the ever present toddler’s need to be out of the house at all times. (not quite a bad thing I guess lol). So I want to talk one of my favorite activities when it comes to entertaining my child for an extended period of time. One of the most important tips I have learned from living life with my two little people is that sometimes a change in scenery can make a world of a difference when it comes to having a happy child. Keeping a sufficient focus on outdoor activities has truly been a life saver for me in so many cases. Often times I can start to recognize signs of an impending need to get out of the house ASAP. I actually believe there is somewhat of a universal feeling we get when we get ourselves outside and into the elements. Why? Because I have personally experienced this change of attitude in not only my children, but myself as well. Just to get out of the apartment and into the outdoors makes us both happier, more cheerful. Normally, I would only last about an hour on a trip to the park until I’m soo past ready to go LOL. 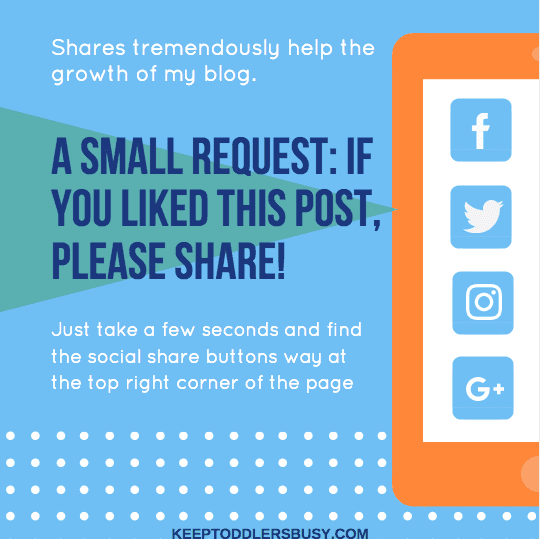 That’s when I started thinking of an idea that lead me to writing this post. The idea of a picnic isn’t exactly a new invention, but making sure I come fully prepared for at least half a day with my kids at the park was definitely new to me! Here’s a checklist of the supplies I used for one of my favorite outings for my children. This is probably one of my most used outdoor supplies. It doesn’t have to be a beach mat per se, just a mat thick eough so that grass and rocks won’t come through. My son especially needs this because ee has a grass sensitivity. so laying on the grass for an extended period of time isn’t really preferrable for him. This is mat that I absolutely LOVE. 2. Outside Supplies: Books, or IPad with a durable IPad Cover, coloring book and crayons, etc. This tip is customizable lol. You can bring anything that entertains your child while they are SITTING DOWN 🙂 It’s awesome when we are at the park and we can get a few minutes of rest time with a book in the fresh air. (Hey if your child is going to look at the IPad or reading a book it mind as well be outside LOL). 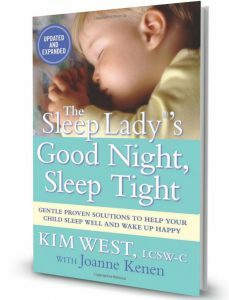 This is essential because the key to staying out without having a cranky kid is allowing them time to sit down and get some rest so that they can recharge and then YOU CAN TOO. 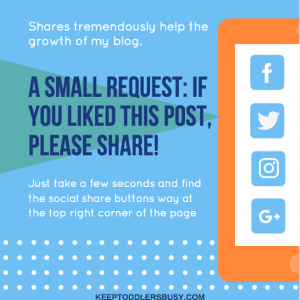 Many parents and caregivers who are visiting this page are most likely dealing with toddlers who take a nap starting anywhere from 11:30am to 1:30pm. My toddler and preschooler start their nap at 12:30 pm and 1pm, so they eat lunch faithfully at no later than 12:00pm. This simply means that bringing lunch, or at least a snack, is a must. I know this is a no brainer but I had to include it. Drinks and snacks are clearly essential for both hungry children and fussy children! Don’t forget to also bring water and snacks for yourself, just saying. possibility, coming prepared with your band-aids, Neosporin, Tylenol, anti-bacterial wipes, Orajel, wraps, or whatever else you feel like you want to have at your disposal is another must. sitting on the mat with my son for a while, especially so that we can play together and generally have some bonding time. But at some point I just need to sit in an adult chair lol. Not a necessity but definitely worth it. This one is self explanatory. Restroom accidents, spills, water, mud, dirt, etc. This should not send you home. I keep a change of clothes in the car at all times so I don’t even have to remember to bring them. If your child is not yet potty trained, you probably already know that extras are essential. This one is optional. If your toddler tends to get tired of the swings or you getting tired of pushing :), bringing an extra ball, Frisbee, or any other small toy your toddler enjoys can extend your stay. It may not be necessary but I like to cover my bases. My son taking a rest outside. 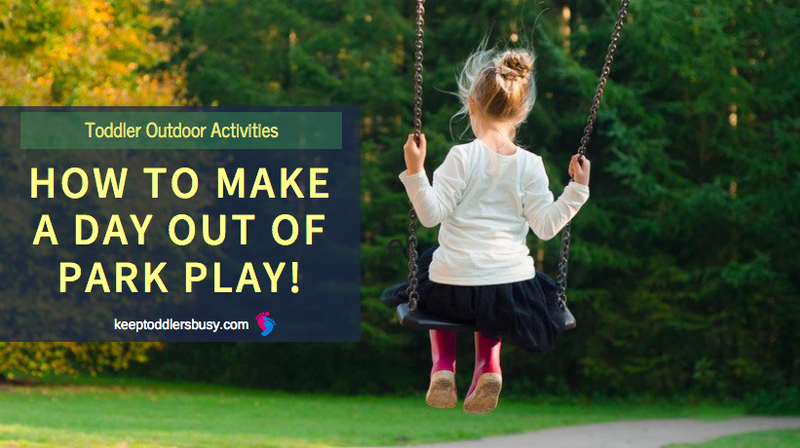 Try making regular play times in the great outdoors. Being in wide opening spaces will allow your child to release energy and explore nature’s endless possibilities. and happy, you will always appreciate finding a fun and easy way to entertain your children while giving them some fresh air. The back yard is great but sometimes your child just needs a change of scenery. That’s where the beach/picnic mat comes into play. Next time you are thinking of how to spend the day, give this a try! For other tips on being out of the house with your toddlers, check out my review post on traveling and road trips! Also remember to always stay safe! 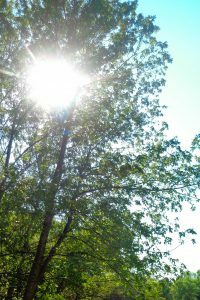 Check out some great tips for keeping your children safe at the park Here! It turns out I’m not the only one that has tips. Check out this video for more picnic tips below. How do you spend time with your toddler outside? Let me know in the comments below! Ha! Not just your toddler. Mine loves ants too LOL. 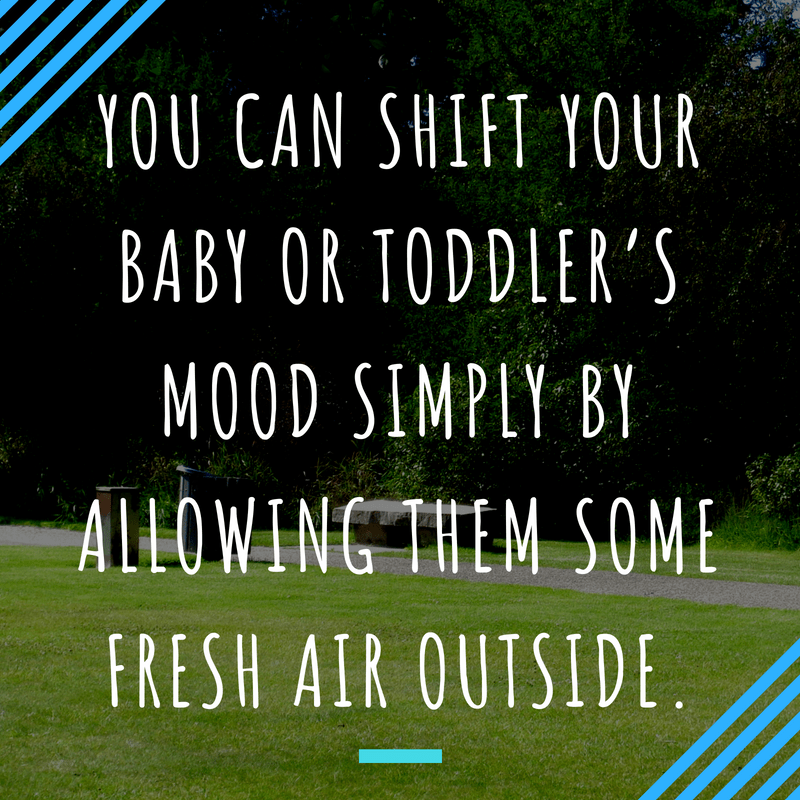 So true, some fresh air can be the perfect healing tonic for kids and adults alike! The Beach Mat is a wonderful suggestion, Kayla. I always struggle with a place to sit when on outdoor trips, and this solves the problem!! Thanks! No problem! You can find them online and in stores. I will add that to the post. 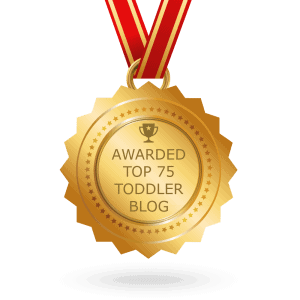 Hi Kayla and thanks so much for the toddler tips! Although I’m not a mom of a toddler, I do have a toddler grandbaby that I enjoy playing with outside in my yard! I do like the beach mat idea! Typically, when we go out, we get the bicycles out and ride them in a big parking lot close by. My grandchildren do enjoy picnics, so perhaps I will do that with them this upcoming week!! Maybe I’ll use the beach mat idea for our picnic blanket =). Thanks much for sharing your ideas and fun times. It was a great pleasure to read. Thanks for this thorough article on the Beach Mat Turned Picnic Mat. I can’t agree with you enough that a trip to the park with the kids only lasts 30 minutes. 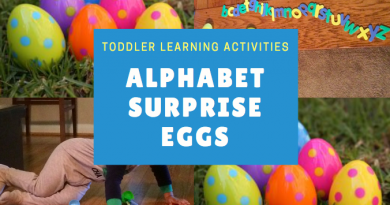 However, the ideas you’ve mentioned in this article have definitely made me realize that there’s other things toddlers can do at the park other than play and get bored. Awesome article, keep up the good work. Awesome, I hope you have fun with your grandchildren! I love the beach mat! Heck I don’t have a toddler but I am a beach bum and have been looking for one. The link is not working for it. I was wondering if you could give me the link for the mat? All your ideas are great! I would have never thought about a first aid kit, but I know that many times I wished I had brought band aids along. Great post! I’m glad you like it! I will make sure to fix the link and send the link for this mat. It’s thick and folds up great. Love it. No problem James! I aim to be helpful and provide ideas! Hi Kayla, super great article! It is so true that the outside has sommething magical that totally changes our mood. All the trick you are giving here…I am sure you will be helping lots of parent. I am going to use them on my grand children. Thanks for sharing! This mat seems to be of great quality! Although my children are already adults, I am sure this could come in handy when doing a picnic on the beach. I had a mat similar to this one, but it was thinner. We go often camping on the beach since will live near the sea:) So this mat will be perfect for us. I do have a question, though. How easy is it to clean? Hi Daniella, it really is awesome and comes in handy 🙂 It’s actually extremely easy to clean as well. The material allows for many messes the roll right off. But if you do get a stubborn stain, check out my article on removing stains that will definitely get it out. I really loved this comment as a working father of 3 boys all under 5 years old. this site is awesome it is visual content is amazing and ill be putting it into practice. when I am out next. thanks you for a great website I will keep coming back for more ideas. You’re Welcome! I am glad you enjoyed it Allan! It is not easy being a working dad of three boys under 5 so I salute you! I hope you have a great time out!